Astus Boats is continuing the development of its range of trimarans, which are as much fun to sail as they are practical and easy to use. The latest of these transportable boats is the Astus 20.5, which replaces the 20.2 in the range (120 examples of which have been built). Just like the 16.5, this new Astus was designed by VPLP. It has a well-flared, planing hull for performance and protection from the spray, but the 930-litre floats provide reassuring safety and stability. The floats can of course be retracted, and the Astus 20.5 can be transported on its special trailer. A boat you will be able to see at the next Düsseldorf Boat Show. You dreamt of it? Erik Lerouge has designed it, and Libertist has built it. 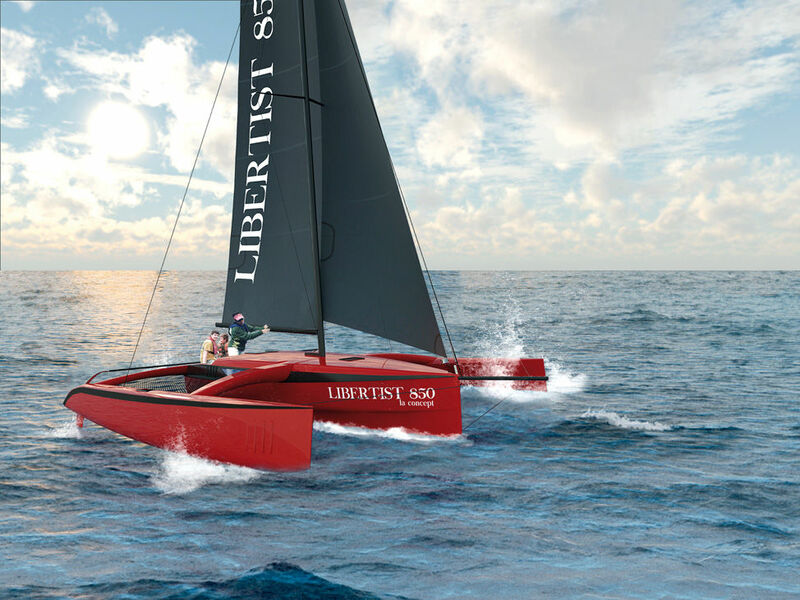 Discovered at the last La Rochelle Boat Show, the Libertist 853 is the first boat in a full range which will eventually run from 7 to 12 meters, via a 10-meter boat and this 8.53 m trimaran. This lightweight trimaran - its unladen weight is just 1,400 kg - offers accommodation which can't be imagined when looking at its stocky, sporty silhouette. 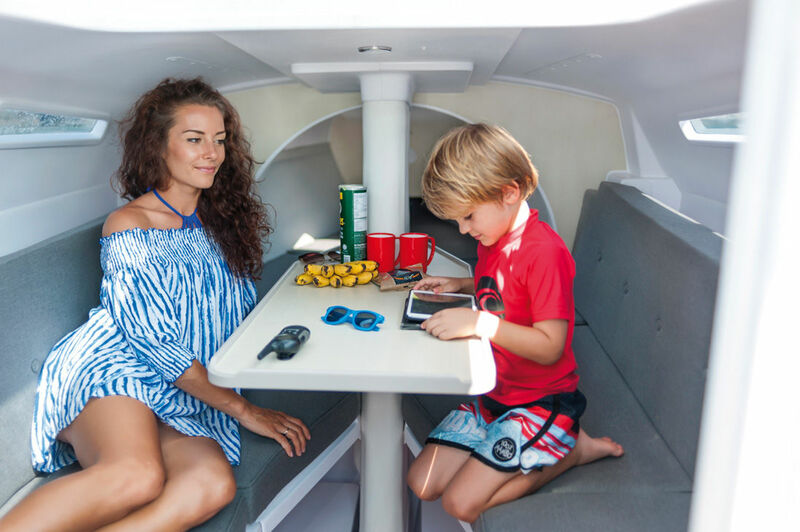 Two double cabins, a real saloon, heads - perfect weekends aboard are yours for the taking, aboard a resolutely fun machine, which is fast, thanks to its composite construction, carbon mast and modern appendages. On test very soon in Multihulls World. With the TF-10, we can say that the builder DNA has excelled itself. 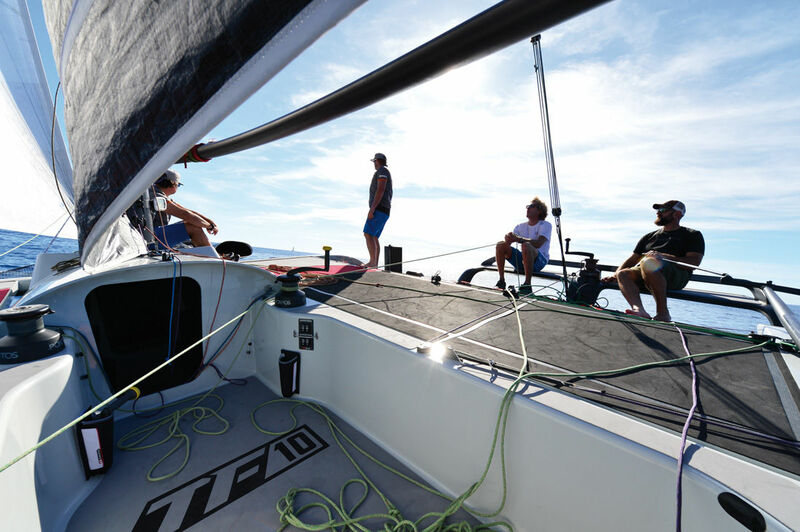 Our in-house tester hasn’t stopped talking about this boat since he was lucky enough to sail it…or rather fly it, as the TF-10 is a genuine foiler, capable of taking off even in an evanescent breeze. This folding trimaran equipped with foils measures 11 m, and is the first of a completely one-design class which will thus offer its owners the possibility of racing on equal terms. The TF10’s plus point is its ease of use – even for monohull regulars – with simple, aided control of the foil rake. The first race for this new class will take place in 2018 in the USA, and the first five examples of the boat have already been ordered.